Happy official beginning of FALL to you! 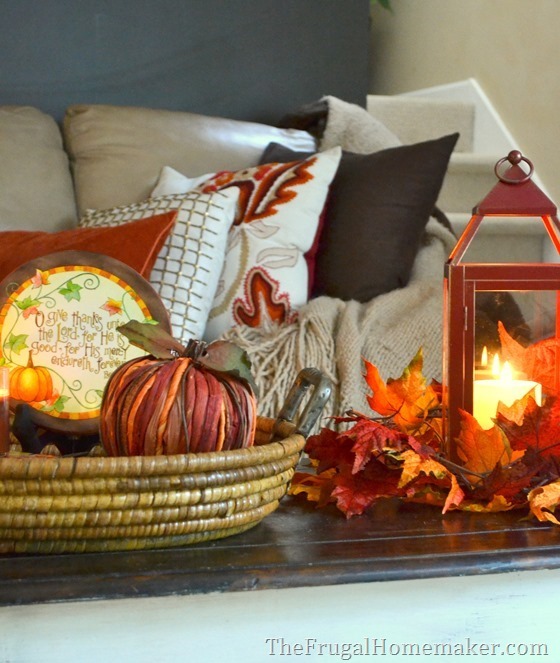 I have been busy decorating my home for fall and can’t wait to start showing you all of it over the next few weeks. So let’s start first with the living room. I am currently hosting guests in my home and really wanted to create a warm, cozy, inviting space in my living room before they got here. And there is no better way to do that then with pillows. So when Chippmunk wanted me to use their site and do a little online shopping spree, I happily agreed! I checked out some of the discounts available for some of my favorite home décor stores and found that Pier 1 had a $10 off a $50 purchase discount available. So I went shopping. From the comfort of my couch, in my PJ’s, while watching a movie with my husband. Gotta love that! And to save even more, I had the items shipped to my local store (which is right in the parking lot next to my favorite Value Village store) and just picked them up a few days later. That saved me another $10-12 in shipping costs since they ship to the store for free! So here’s how I incorporated all of my fun steals from Pier 1 into my living room. I picked up this gorgeous red lantern. 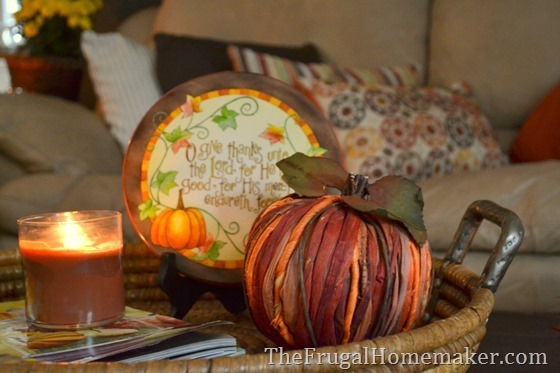 I love incorporating non-seasonal items into my seasonal décor so that I can use them all throughout the year. And then I picked up some gorgeous new pillows. Some are more fall colors and some are very neutral so that I can use them all throughout the year. I was able to mix and match them with some pillows I already had as well. 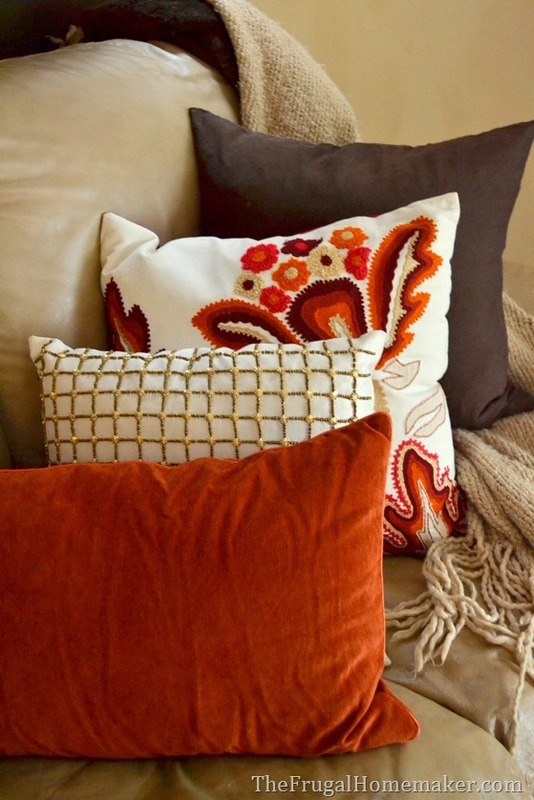 My favorite one was this orange, red, tan floral pillow. It could work for spring/summer and for fall. 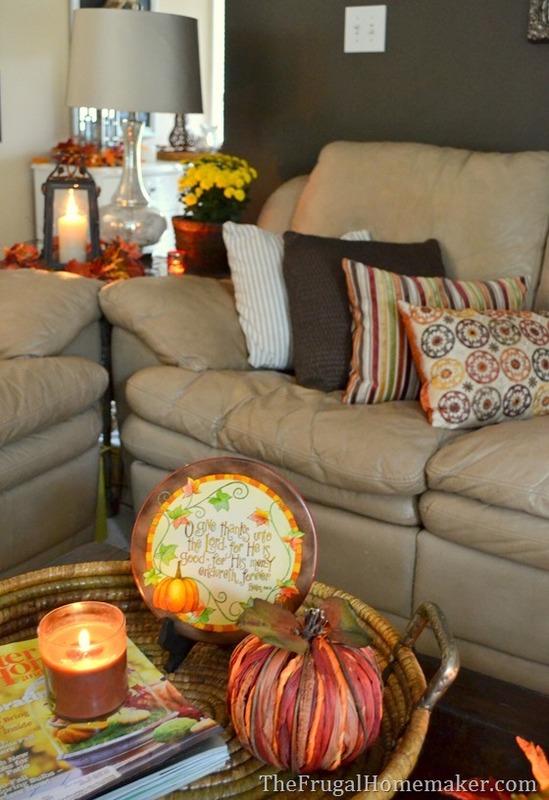 I love my living room all warm and cozy for fall! And I love my new pillows and accessories from Pier 1. Thanks so much to Chippmunk for sending me shopping too. Now you get a turn! Do you do shopping online? Then upload a photo of your finds and share it with others! Go check out Chippmunk’s expert shopper gallery where you see what others have gotten and upload your own deals. There’s even a fun contest running right now! From now until October 8th, 5 winners will each win a $100 gift card to the Chippmunk store of their choice based on votes. 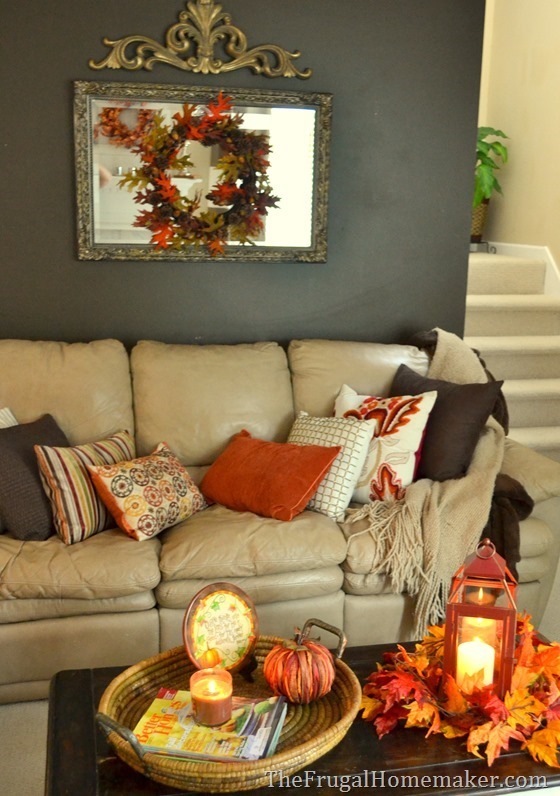 So share your favorite home décor steal of fun fall fashion steal to their expert shopper page and maybe you can win a $100 gift card! 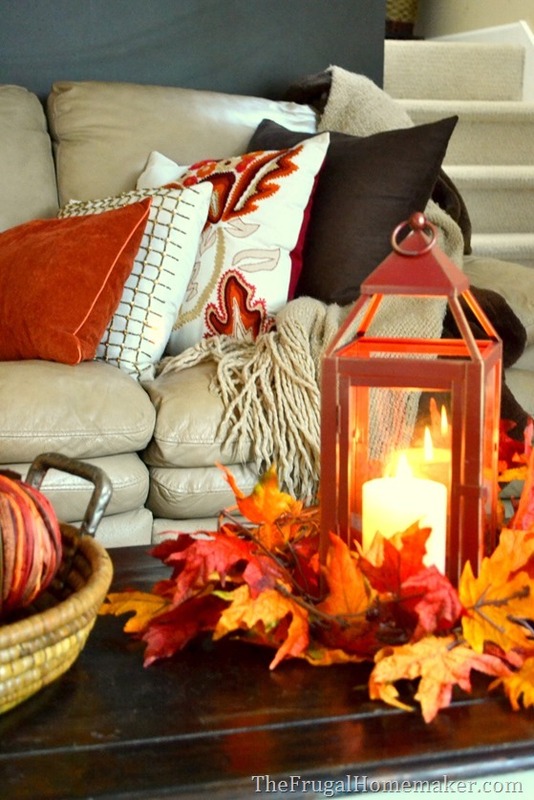 Is your home decorated for fall? 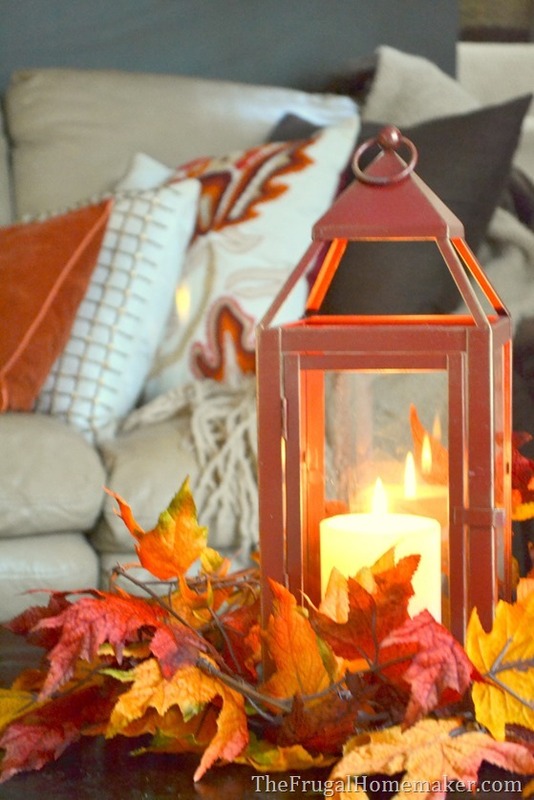 I can’t wait to share the rest of my fall décor with you. Gorgeous! And thank you for the ‘chipmunk.com’ tip! Very pretty! It does looks very cozy and perfect for Fall. Lovely, lovely! Great job, girl!!! It’s beautiful, Christina! Happy Fall! The natural fibers pumpkin is too stinkin cute-I want! Nice job with the fall decor! Love your living room so warm and cozy ! It’s so elegant and beautiful, this turned out great!… great job! I just love the things you picked for your living room, it looks awesome. Just now seeing your steals! Love the lantern and the pillows. Your room truly is cozy and warm looking!